ratiotec Connect makes the balance of your register much easier – you simply count your daily revenues with a compatible ratiotec cash handling device and transfer all counting results to your PC by the mere push of a button. No matter if you integrate ratiotec Connect into your POS-software or use our web-interface – with ratiotec Connect the times of tedious and error prone digitalization of payroll results are finally over. With ratiotec Connect you automatically document and save each of your cash settlements with consecutive billing number, tamper-resistant date / time stamp and your billing results. All cash settlements are stored on request for 11 years on our Connect-Box and can be copied to a USB-stick (password required). 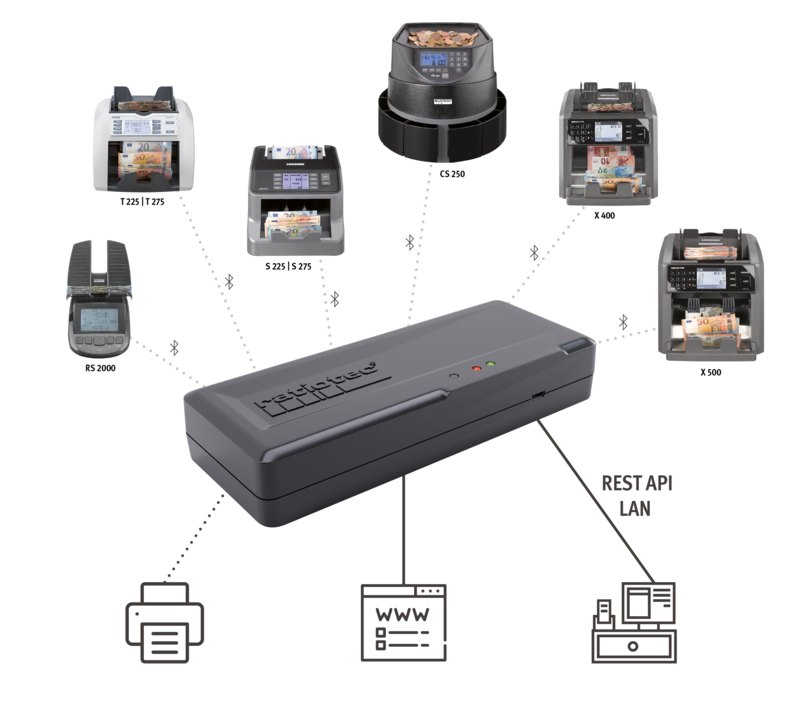 You simply count your daily revenues with a compatible ratiotec Connect banknote counter, coin sorter or money scale. 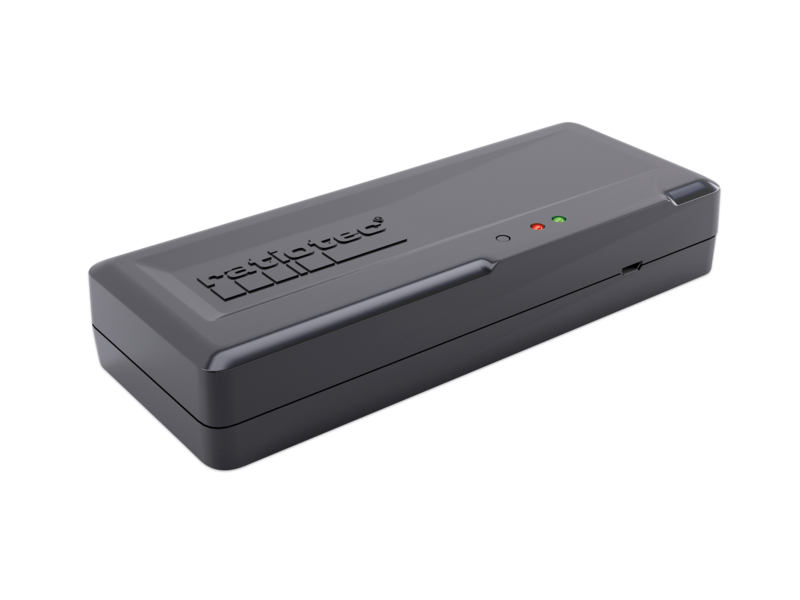 Simply press the printing button on your ratiotec device and your counting results will be transferred via an encrypted Bluetooth connection to the Connect Box. From there, they can be transferred straight into your POS system. Our modern REST API with the standardised protocols HTTP and SSL allows you to integrate almost all ratiotec products with a unique, very manageable workload. Many POS-software suppliers have already integrated ratiotec Connect into their systems. However, using our own ratiotec web-interface is a real alternative, which enables you to look at your counting results no matter where you are after entering your password. You can print your accounting results on almost any printer. Printing via Bluetooth requires encryption support for security reasons. For questions about supported Bluetooth devices please contact us. Access ratiotec Connect online! Look at your counting results only a few minutes after closing time. The complete balance of your registers at a glance – sorted by store and cashier. 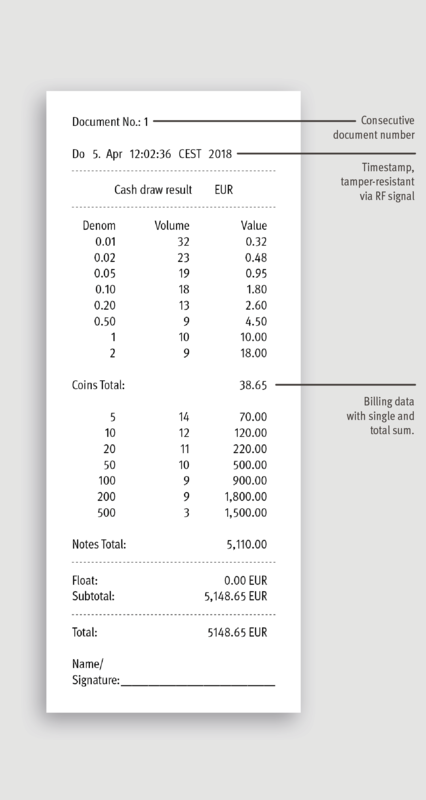 The transfer of counting results directly into your POS-system is already possible with many partner companies. Our modern software interface allows your POS company an integration with manageable effort! For further information please contact us! Check out all ratiotec Connect products and get connected NOW!